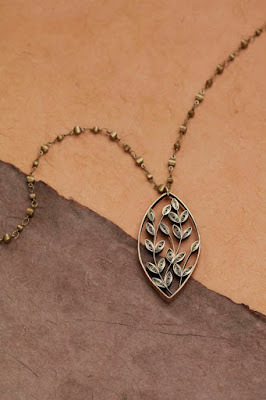 Create exquisite jewelry with the look of copper, silver, and gold! 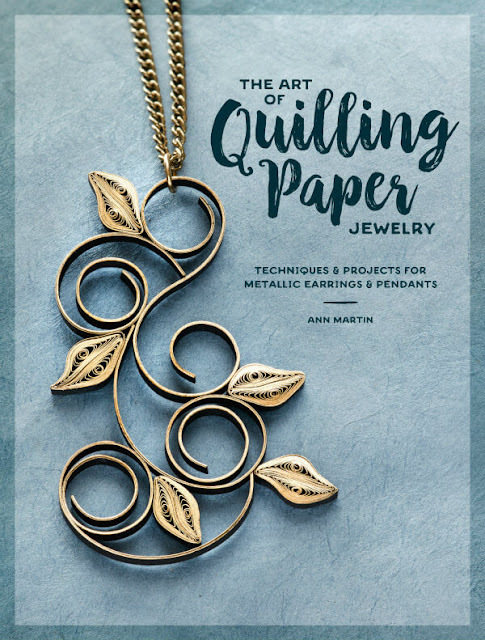 My newest book, The Art of Quilling Paper Jewelry, contains twenty inspiring projects to launch you on the path of creating gift-worthy necklaces and earrings. 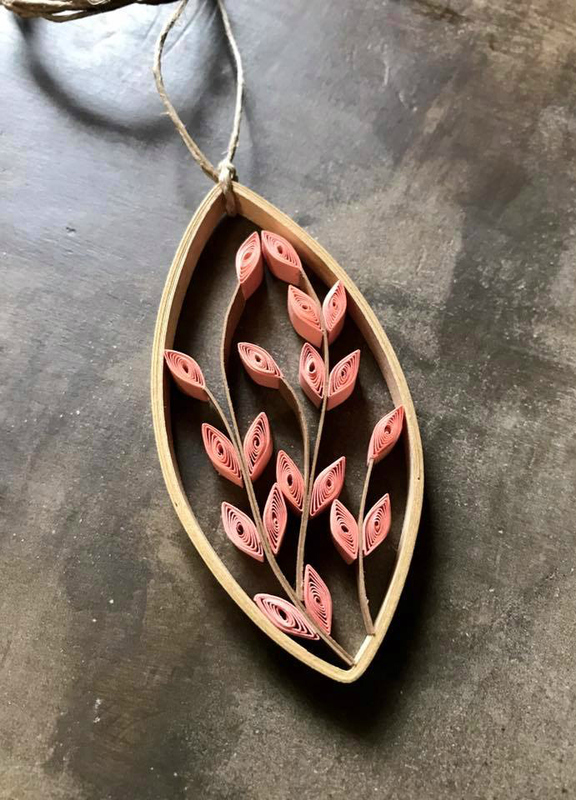 Discover how the centuries old technique of paper quilling can give you modern, sophisticated jewelry without a high price tag. Whether you're an experienced jewelry maker looking for new techniques or a quiller who wants to turn your creations into one-of-a-kind jewelry, this guide to gilded paper jewelry has what you need. Pairing step-by-step illustrations with detailed tutorials on rolling coils, scrolls, and other unique quilled shapes, The Art of Quilling Paper Jewelry shows you how to create eye-catching designs. With expert guidance and a few minimal tools and supplies, you can create your own wearable paper art and more! The Art of Quilling Paper Jewelry can be purchased in print or as an eBook via the publisher, Interweave. It is also available via Amazon, Barnes and Noble, Book Depository and your favorite bookstore. "Paper! 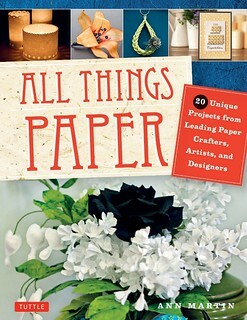 How can that possibly be paper"
The projects are beautiful, elegant and very wearable! with detailed instructions to help you reproduce them with ease. I received a copy of Ann's book about a month ago and I immediately tore into it. It was A-M-A-Z-I-N-G!!! Not only is her book beautifully written, it's almost a piece of art in and of itself. The images are stunning. 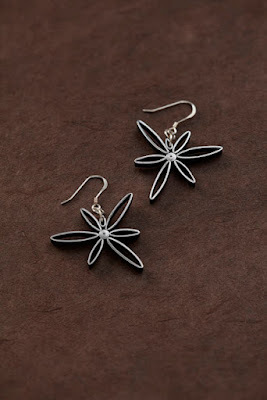 The instructions are clear and concise - to the point where even a beginner can easily produce show-room quality jewelry. There were so many beautiful projects to choose from I had a hard time deciding which one to do first. New and advanced quillers can appreciate Ann's acute attention to detail. Her impeccable care is evident in all the photos of every project. And just look at this divine Petal Power necklace. It's zen-like quality beckons the eye to keep admiring the delicate blossom. 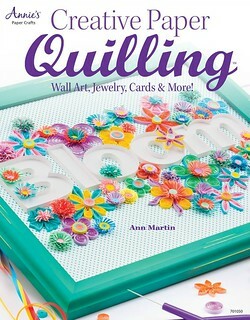 I'm so happy Ann's book, The Art of Quilling Paper Jewelry, is in my library and pushed me off the ledge of hesitation. This beautiful collection opens up numerous options for quilling beyond the standard surface decoration and may inspire crafters to give this ages-old craft a try. ...also covers how to protect and care for the jewelry pieces. Her tips on how to store and transport them are invaluable. 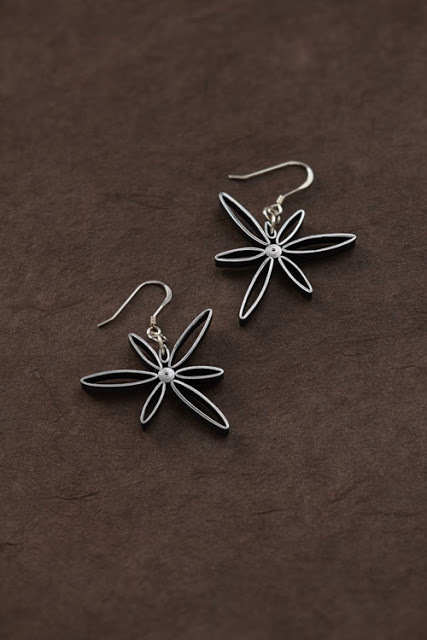 Ann also said, "I always tell recipients of my paper pendants and earrings to treat them as they would any fine jewelry: last thing on, first thing off, and never take them for a swim." Ann's design using the gilded paper turns out beautiful and classy! 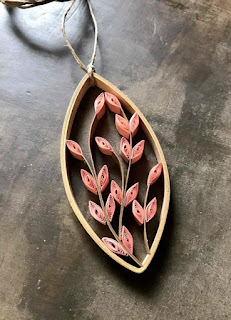 Via Facebook, Erin Curet of Little Circles shared her take on the Leafy Vine Pendant, proof that you can use non-metallic quilling paper to make a beautiful project! I truly believe quillers of all skill levels will find something to like in The Art of Quilling Paper Jewelry. Plus, if you order now, you'll have plenty of time to create all sorts of stunning paper earrings and pendants for holiday gifts! I’m just a beginner but your book has taught me so much! I’ve even been playing around with my own designs! I had no idea I’d have so much fun!!! The instructions are clear with lots of helpful tips. ...full of beautiful projects, which stand out for their elegance and original design. With step-by-step instructions and detailed tutorials you'll learn how to roll coils, scrolls and other unique quilled shapes; your eye-catching designs will be a hit. The book is also available in Czech language via Metafora.